To stop a spectral menace in the 21st century, the gang will have to travel back through time to solve the mystery before it even begins. But that’s easier said than done, as visiting World War II means facing spies, saboteurs and Nazi monsters! 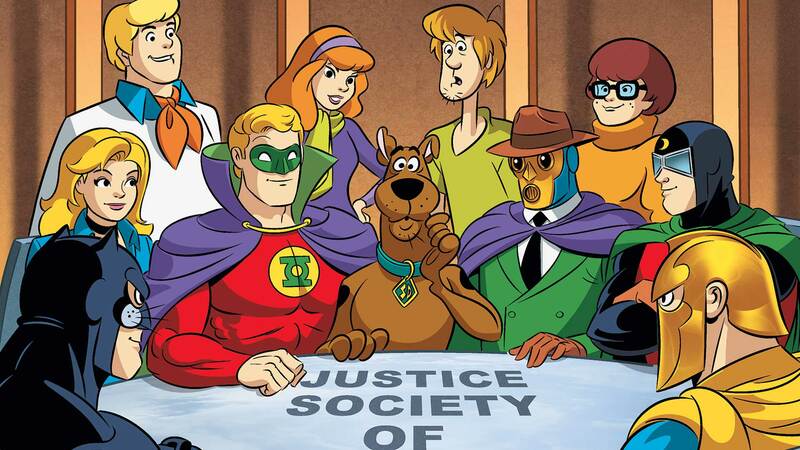 Good thing the gang isn’t alone, fighting side by side with the Golden Age’s premiere superhero team: the Justice Society of America!